A total solar eclipse will track from the Pacific coast to the Atlantic. 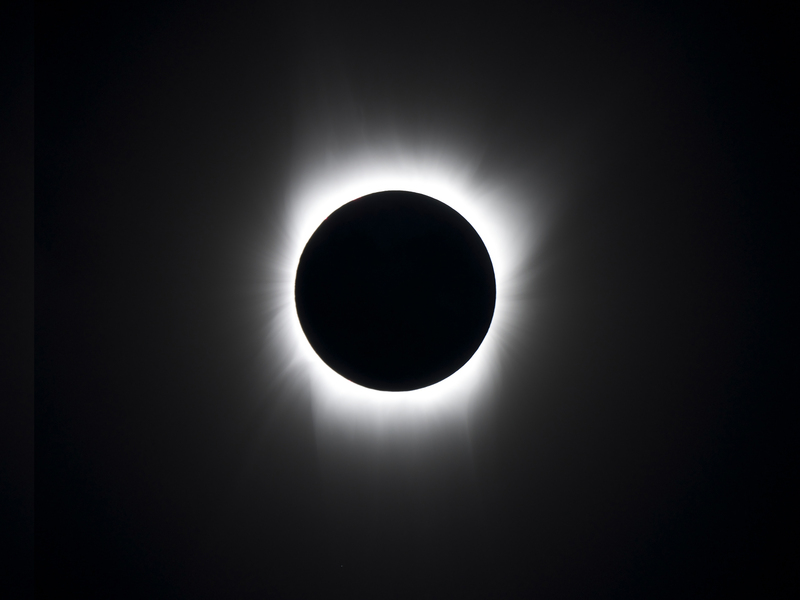 The shadow of the moon will begin over Oregon and move east to Idaho, Montana, Wyoming, Nebraska, Kansas, Missouri, Illinois, Kentucky, Tennessee, Georgia, and South Carolina. Totality will begin over the US in Newport, OR at 10:16 PDT and will end near Charleston, SC at 11:48 PDT. A partial solar eclipse will be viewable over the rest of the US. Totality will track directly across north central Oregon. At the center of totality the moon will block out the sun completely for approximately 2 minutes and 40 seconds. Totality time will decrease the further you are away from the center of totality. An event of this magnitude will not occur again until the year 2045. The most common clouds west of the Cascades during summer mornings is marine stratus which tends to fill the Willamette Valley and clear by late morning. The solar eclipse will reach totality from 10:15 to 10:25 AM PDT across the state of Oregon lasting around 2 minutes. This map from NCEI shows the likelihood of the eclipse being viewable based on average cloud cover on August 21 from 2001-2010. Viewable: How likely it is for the eclipse to be viewable. Obscuration: Maximum percentage of the sun blocked by the moon during the eclipse. Choose a forecast product type (temperature, wind, cloud cover, etc) and desired time from the menu/slider bars at the top of the map. The map will update automatically. Use your mouse to zoom into/pan around on the map. National Weather Service forecasts are issued out to 7 days. Please check back for accurate forecasts near the eclipse date. There are 2 different types of eclipses: solar and lunar. A lunar eclipse happens at nighttime and occurs when the moon passes through the shadow of the Earth. These types of eclipses are much more common and generally last for a few hours. A lunar eclipse is generally viewable in the locations in which it is nighttime. 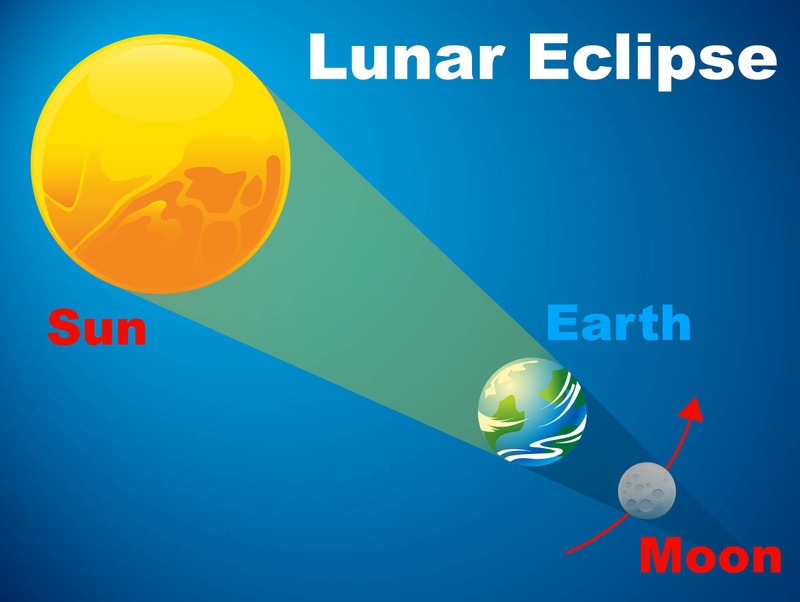 Lunar eclipses occur roughly 2 to 4 times per year. Solar eclipses on the other hand are a rare event to see. 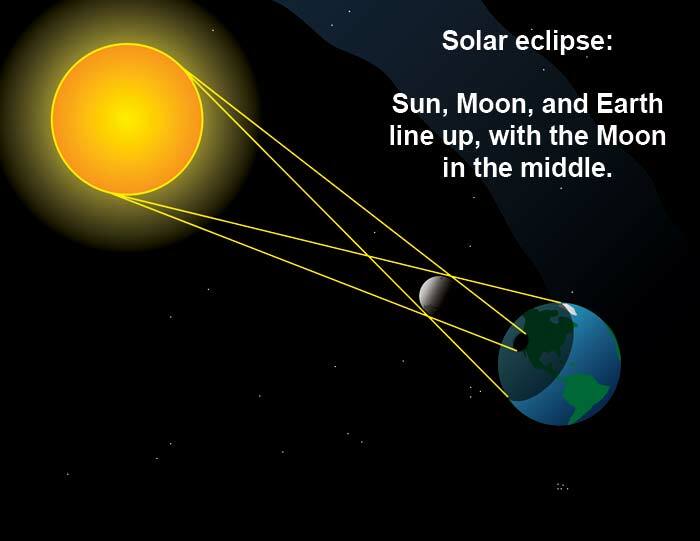 Solar eclipses occur when the moon passes in between the Earth and the Sun. Eclipse safety below will explain the dangerous of viewing a solar eclipse and how to view one safely. Solar eclipses can be broken up into 2 categories: Partial and Total. Partial solar eclipse is when the moon does not completely block out the Sun. This is due to there the Moon, Sun, and Earth do not form into a perfectly straight line. A total solar eclipse is what we will experience on August 21, 2017. The Moon, Sun, and Earth will align and the moon will completely cover the sun. Only during this time is it safe to look at the eclipse without any eye protection. This will only last for a few minutes before the Moon moves and the sun will begin to reappear. Community and social events are being held across the United States click here to find one across the US. **Note: If planning a Solar Eclipse special event check the local town's website for information about Special Permits to hold an event on public property. Safety is a big concern when viewing a solar eclipse. You should NEVER look directly at the sun during an eclipse. Looking directly at the sun is only safe during the few minutes when the sun is at the totality. That will only occur in the very narrow path of about 60 to 70 miles wide from Oregon to South Carolina (see map above). The only way to safely observe a partially eclipsed sun is through special solar filtered glasses. Homemade filters and ordinary sunglasses, are not safe for looking at the Sun. 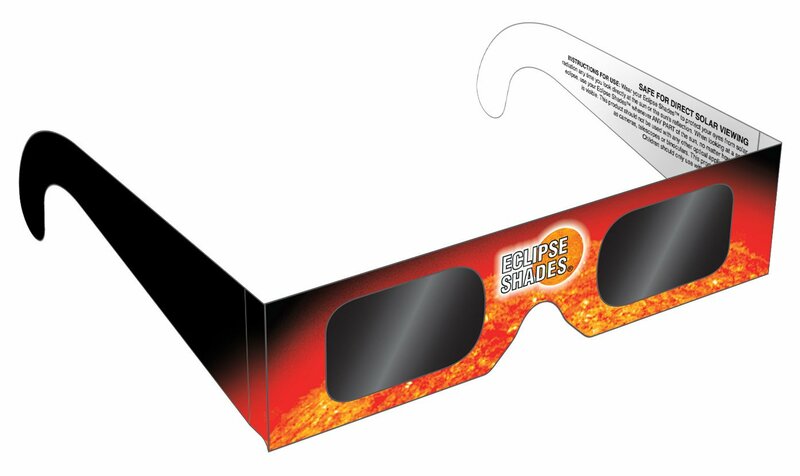 There are several manufactures of eclipse glasses to meet international standards. Glasses can be found at various online retailers and are generally inexpensive. Be sure to follow any packaging instructions and supervise children using solar glasses. If you are looking for a DIY solar eclipse viewer a pinhole projector is a safe but indirect way to view a solar eclipse.